One consistent piece of feedback I've received about Touchstone is that the covers of the individual books appear to be targetted to middle grade rather than young adult readers. Since I really love those covers (which are tremendously appropriate to the content), I stuck with them for quite some time, but have started an experiment today to see whether the more 'floaty girl' type of cover will help sales. 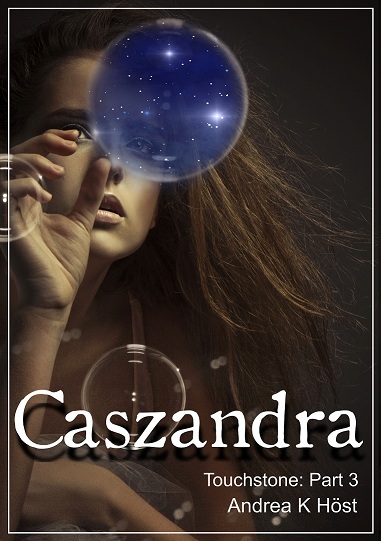 The "Caszandra" cover is a little dark in thumbnail , but I think the progression of the three covers is rather cool. May make no difference at all, of course, but at least people will stop saying it looks middle grade. I think you know how I like that "bubbles" cover, and yes, I think this could well work better. b) I'm glad you're not changing the covers for the paperbacks, I'm pretty sure owning the books in 5 different versions would be considered insane. 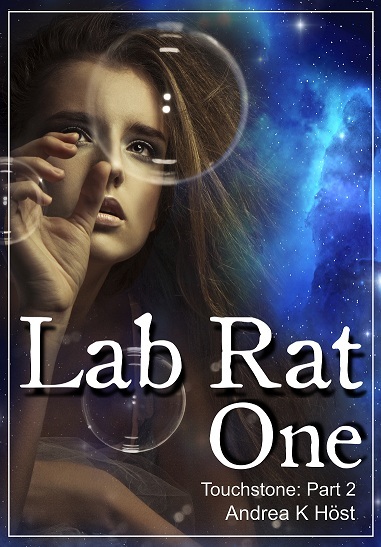 Will have to think about the Lab Rat typeface (still waiting for change to happen on Amazon). The original covers don't look middle grade to me - they just look illustrated, but I guess the trend is illustrated covers = middle grade and so that's how people are reading them. Do you think that its partially how one country views it against others? Most of my book cover experience come from a US domestic standpoint--but I've been checking out other covers for books I love and different trends seem to develop. Heh when I see the bubble cover I keep imagining Cass in a bath popping each world as it floats up (but having read the books I can say that, I don't think that's what a new reader would think). I think its good that you are thinking about marketability vs. your own wants. It shows how serious you are about getting your books out there to an audience. I think Aus books might be more inclined to abstract illustrations, but let's face it - the pretty girl in gorgeous dress cover is used a lot because it sells, and so it's everywhere. Actually I find myself preferring a lot of UK fantasy covers to the ones in the US. Sometimes I'll just import them for that reason (like the covers for the Poison Study and Glass books by Maria V. Snyder) or in addition to the US books (such as with the Brandon Sanderson novels). Dude there's way too many pretty girl in pretty dress covers--and so many using the same pose/model/color scheme I'm kind of got dizzy eyes trying to remember them all. I cannot read the title on the cover for Touchstone Part 2, but I can read 'Touchstone Part 2' below it. Even if you really, really like that font, lose it. I suggest you use the same font for the title on all three covers. I think you have the right of it, antares and SF Reader. Have updated. It will be interesting to see if I get an uptick. 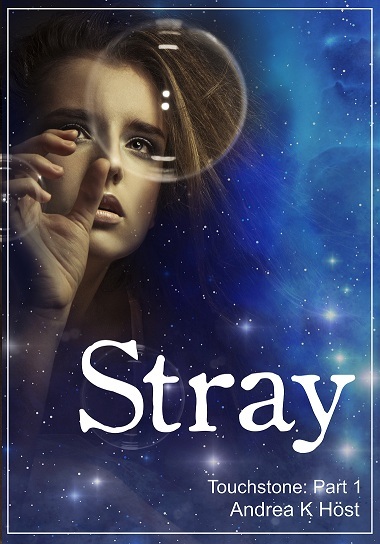 I did sell twice as many of "Stray" today as I sold over the last few days (since it came off its second batch of free). Difficult to say if that's a trend. I'll do a numbers post in a month or so. Much better ! I hope it works for the best ! Now I see that all your covers use the same font for the title. Much cleaner. Much, much more readable. Gives a coherent look to the covers; that is, they now look like volumes in a series. Can you please narrate these books! I have owned them for several years in print and digital and want someone to read them to me as well.